For most of us, the holiday season is a wonderful time to share the joys of family life and friendship. However for many older adults the holidays can be highly stressful, confusing, or even depressing if their emotional, mental, or physical needs are not taken into account. 1. Stroll down memory lane. 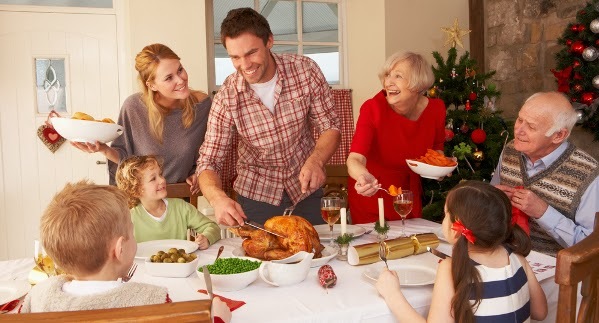 Holidays provoke memories, which can be especially powerful in the later years of life. “Leading authorities have observed that memory and ‘life review’ are important parts of the aging process,” says Barry Lebowitz, Ph.D., deputy director of UCSD’s Stein Institute for Research on Aging. “Older people whose memories are impaired may have difficulty remembering recent events, but they are often able to share stories and observations from the past. These shared memories are important for the young as well—children enjoy hearing about how it was ‘when your parents were your age…’.” He suggests using picture albums, family videos and music, even theme songs from old radio or TV programs, to help stimulate memories and encourage older seniors to share their stories and experiences. If a holiday get-together is held in the home of an older person with memory impairment or behavioral problems, don’t rearrange the furniture. This could be a source of confusion and anxiety. If the gathering is in a place unfamiliar to an older person, remove slippery throw rugs and other items that could present barriers to someone with balance problems or who has difficulty walking. With age comes diet restrictions that may influence what or how we eat. Whether it's kidney disease, heart failure, loss of appetite, or simply a difficult chewing, these need to be taking into consideration during food preparation. Here you'll find recipes and pointers to adhere to various diet restrictions. 5. Keep the spirits high. Ultimately, the holidays are about being around those you love and care about. Do you best to form new memories with your loved ones by managing stress and focusing on the joy of being together. Tis the season to be jolly! Join us! Monday, November 25th at 7pm ET/4pm PT, for a TweetChat at #Nurseup to talk more about preparations for the holiday season.